Thank You , Claude Monet! 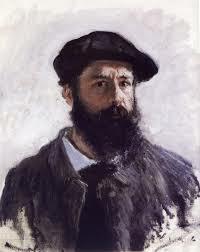 Claude Monet would be 174 years old today. He was born in Paris, France and is, today, one of the world’s most famous and popular artists. His style and work lead to the name of an art movement, “Impressionism.” Themes in his prolific body of work were capturing , light, reflection and natural form. This lead an art critic of his day to insult him with the name “Impressionist” . The name stuck and an art movement born. 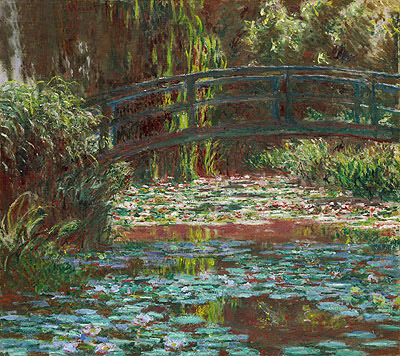 Monet, like many artists during their lives, struggled with depression, poverty and illness. 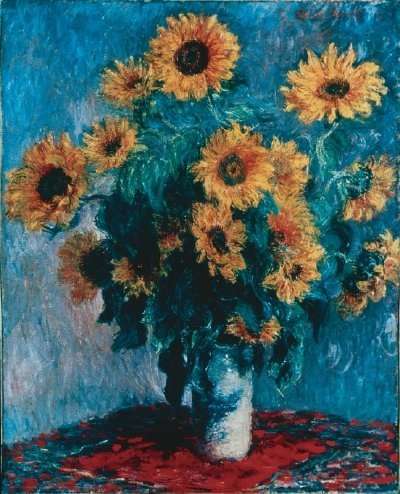 For the last 40 years of his life, he lived and painted at his beloved farmhouse in Giverny, France. Below you see a model of the house, a quick shot of an incredible Gift Shop, and the heavenly gardens that you have visited in art galleries or museums. Here is the garden. I chose this video because of the beauty and calmness of the music and the flowers. You will see the original sites for many of Monet’s paintings. Let me tell you a personal story. We were driving from Paris to visit the holy ground of Normandy. As some of you may remember, my oldest brother was a paratrooper who jumped the night before D-Day, the invasion, and later died of non-life threatening injuries. I wanted so much to visit Giverny and of course it was not a priority of the architect. But what a grand surprise when he detoured and we arrived for a half day visit. It is a very popular day trip from Paris and there were a number of buses, too many for the parking lot, with many were just parked along the small road. I won’t try to describe the garden as the paintings and video are much clearer , but I did have a couple of memories about the house. From the little pop-up book model, you see the four main rooms. I loved the casement windows that open outwards and let the flowers, sun, and fragrances into the house which is set right in the middle of the garden! I also remember the color yellow which is shown in the model. I think these aspects of the house were to help him fight the never ending depression. Another thing that struck me was that there were none of his paintings on the walls, not a one that I noticed, but there were lots of Japanese paintings of water color and lithographs. Could this artist who is probably the most recognizable in the world today, have suffered with low self-esteem? Amazing. . . . . and yes, for the shoppers. . . . the gift shop is so complete that it will take you at least an hour. Never I have seen so many examples of an artist’s work for sale except at Taliesin West in Scottsdale, Arizona where Frank Lloyd Wright lived and worked. This entry was posted in Travel, Uncategorized and tagged 1840 birth, art, art appreciation, blogging, Claude Monet, France, Giverny, Impressionism, November 14, painting. Bookmark the permalink. 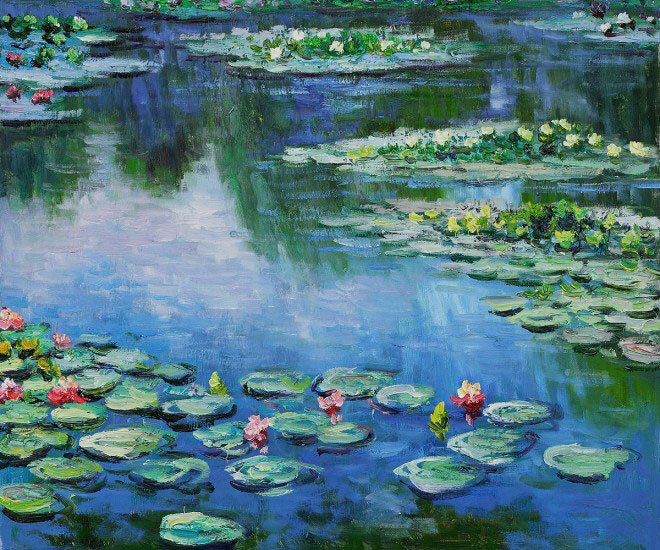 11 Responses to Thank You , Claude Monet! Chess, thanks for your lovely comment. It makes me very happy to share with my blogger friends. I have been blessed to see so much of the world, and would never have imagined it. We were there in July or August with the full bloom of the amazing English garden. I hope you can go, too. It is amazing! I love Monet and your post. I hope to visit his gardens some day! Many thanks, Ian. . . . .
Glad you like it – just a small thing minor, you put money instead of monet in first paragraph. I altered it on my post. Thanks for pointing that out. Please let me know of mistakes! Stefy, great to hear from you . Glad you enjoyed the post. It was a lovely day!